Is storing your rowboat bothersome, or you would prefer not to bring it on land after each use? The new Suvi 465 model is self-draining even in water. Just remember to leave the drain plug open. 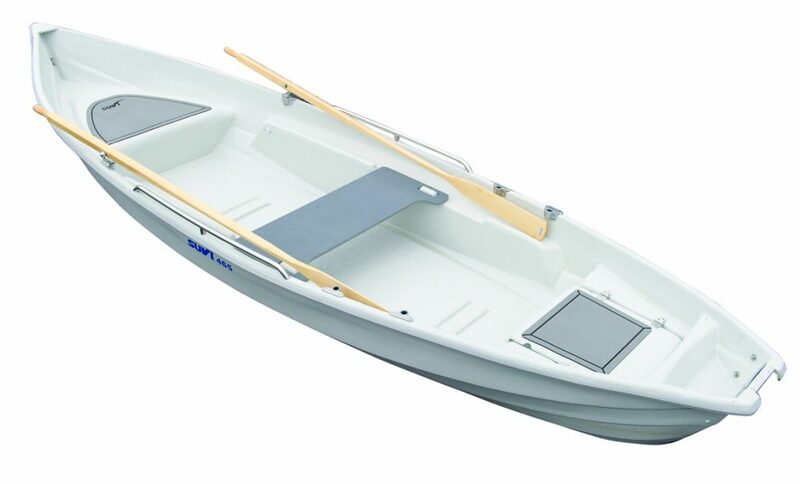 A versatile rowboat for small engines or even pair rowing. The design also accommodates an electric engine, and the boat is standard equipped with a battery tray. Also available in brown, or “tar”. Power 1 pers. 2 pers.